Two young teens, Maia, 14 and Lydia, 13, are leading the citizens of Baraboo, Wisconsin ever closer to finally getting their backyard chickens. Last night, they hosted a public screening of the Mad City Chickens documentary to a crowd of over 60 enthusiastic supporters. It’s all stemming from this green and sustainable movement that’s going across the whole country, and even the whole world, right now, Maia said. Allowing residents the opportunity to raise small flocks of chickens for healthy food and local food goes hand in hand with us being an eco-muncipality. We have now been gathering lots of community support through displays, petitions, etc. and are scheduled to go back before the council on June 2. Keep up the good work Maia and Lydia! You’re a shining example for the many others wanting to bring urban chickens back to their communities. Tonight's screening of Mad City Chickens in Baraboo, Wisconsin gets noticed by the local press. Read the piece in the Baraboo News Republic. In efforts to reach an ever widening audience for the Mad City Chickens documentary, we have launched a couple of new promotional banners. They are currently running on the International Poultry Breeders Association website, and will soon be found on others as well. We just launched the Official Mad City Chickens Documentary Facebook Page. Come write on our wall and become a fan. Thanks for your support of independent filmmaking and the return of the backyard chicken. It’s "chicken week" in Castlegar. 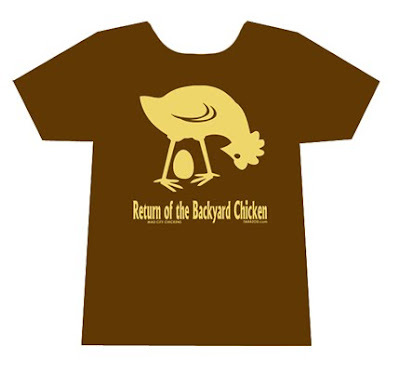 On Wednesday May 6th, 7pm at the Community Forum, the City of Castlegar, British Columbia held a public meeting to hear resident’s input into the keeping of chickens in residential areas. 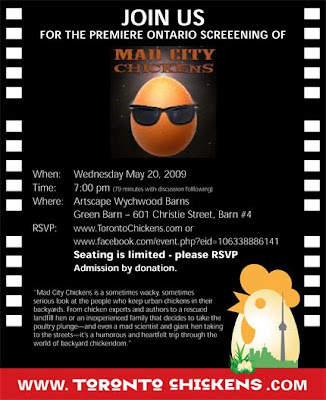 The UrbanWorkbench (a blog dedicated to Sustainable Designs for Life) in conjunction with the Kootenay Food Strategy Society will be holding a public screening of Mad City Chickens tonight in an effort to raise awareness about the benefits of urban backyard chickens. The screening takes place tonight, Thursday May 7th, at the Castlegar and District Health Centre at 6.30pm. The Citizen Science Project at Saint Mary’s University is joining forces with the Ecology Action Centre this May 13th to present a public discussion forum and feature screening of the Nova Scotia premiere of Mad City Chickens. 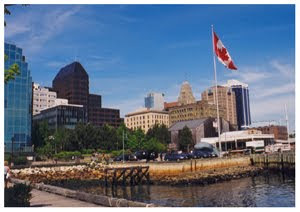 Canadians want their chickens and the citizens of Halifax are no different. Urban poultry is legal in only a handful of Canadian cities, but the tide is turning. With the legalization of backyard hens recently in Vancouver, other municipalities are being asked to re-examine their own outdated zoning laws. The film screening will take place May 13 from 7 p.m. until 8:30 p.m. in Theatre A of the Burke Building at St. Mary’s University in Halifax. 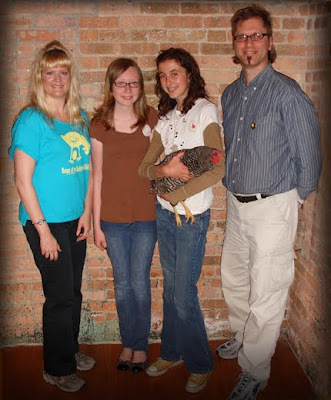 We were guests today on Andy Schneider’s Chicken Whisperer radio show. In addition to being a radio host, Andy, a.k.a. The Chicken Whisperer, is an Atlanta-based backyard poultry expert, organizer of the Atlanta Pet Chicken Meetup Group and owner of Atlanta Pet Chickens, the city’s first and only pet chicken company. As the backyard chicken movement continues to grow, Andy has become one of the go-to-guys for anything chicken. Listen to the mp3 file of today's radio interview.